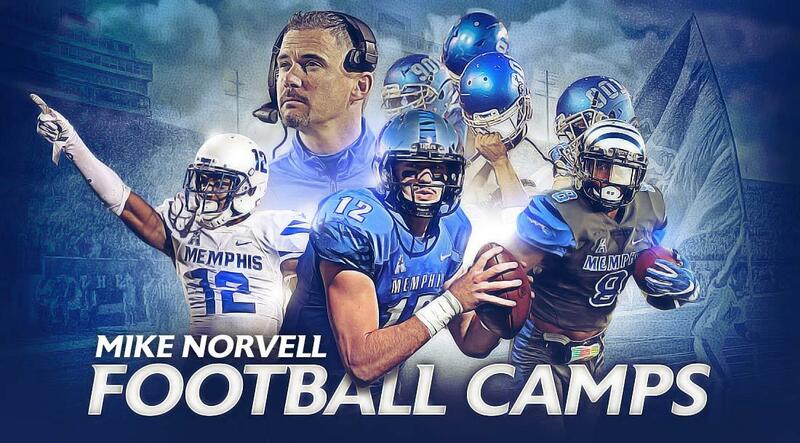 The University of Memphis is proud to offer another year of football camps where coaches from around the country will be on hand to instruct various skills required to elevate your game and maximize your talent. The University of Memphis football staff is hands-on coaches who will be leading position drills. Not only does the current University of Memphis coaching staff boasts resumes whose stops include Stanford, Pitt, Texas Tech, the NFL and Arizona State, this year BIG CAT MEGA CAMP will feature coaches currently stationed at colleges of all levels including the highest of Power 5 and the best of FCS. Division II coaches, as well as Division III coaches, will be assisting with the drills to further enhance your camp experience and overall skill development. Our camps are quick paced and grounded in the fundamentals of our championship producing the program. We will help you become a better player so you can become a better teammate. This camp or clinic is open to any and all entrants (limited only by number, age, grade level and/or gender). To register as an individual or to pay as a team, please see the two sections of camps below.